In 1996 – the time frame in which my life direction took a pretty drastic turn – the pop culture term for 20-somethings was “Generation X.” Most of the descriptors turned out to be silly. GenXers were supposedly unmotivated, pessimistic, and disconnected. That described very few people that I knew. But one of them was right on, at least as far as I was concerned: “They like Jesus, but not the church.” This was the generation that had come of age through a series of high profile scandals. Jimmy Swaggart, Jim Bakker, the Catholic church – these had all contributed to a larger movement of people who had remained open to spirituality but were less and less willing to find it in the institutional church. I fell into this camp. On one hand, I had just experienced God in a powerful encounter that had shaken me to the very core (I tell that story here). I now officially “liked Jesus.” And yet, even as I was ready to move into a deeper level of following Christ, I couldn’t shake the fact that I still didn’t like or trust the church. The mistrust was not completely unfounded – I had already seen some hard things in church (that one is here). My renewed discovery of faith still felt very vulnerable, and it felt scary to allow a church to shape and form that faith. I had stumbled into Willow Creek when I moved to the NW suburbs, and this seemed like the place to begin the next chapter of my spiritual journey. But it wasn’t without tremendous hesitation. Everything about Willow struck at my anxiety points. It was big, slick, and highly produced. It seemed to be the icon of all that I feared about church. I enjoyed going to the 20-something Axis service, but that was more for social reasons. If I was going to stick at Willow for any amount of time, I was going to need to figure out what type of church it really was. I continued to attend Axis on Saturday nights, but began to faithfully attend both the Sunday morning “seeker” service and Wednesday night “New Community” service as well. Though I was in an incredibly cynical place, I was consistently surprised each time I came. The sermons made sense, and more than that, they struck me at a deep place. I was very spiritually sensitive during that time, and to my surprise, Willow seemed to be just the place for my budding faith to find a place to take root. But even as I was learning and growing, I still couldn’t shake the cynicism I felt about church. I feared that the whole thing was a charade, and that one day the curtain would get pulled back and I would see it for what it really was. It was right around then that I heard Bill Hybels make a pre-sermon invitation to anyone in the congregation that wanted to attend a Leadership Conference that he and Willow Creek were hosting. He told us that thousands of church leaders from around the country came in to learn about church, and that he’d love it if some of his Willow people came as well. This struck me as the perfect opportunity to get a peek behind the curtain at Willow. I expected them to be guarded about their true intentions in the Sunday worship service, but I suspected that in a leadership setting like this they would be more open about what they were really trying to do. I took off two days from work and attended the conference. Looking back I realize what an incredibly fragile place I was in. I don’t know that I had much tolerance left for any church BS. If this would have gone badly I fear I would have left church for good. Fortunately it was exactly the opposite. The conference was pretty straightforward – people came to hear from Hybels, and that’s mostly what they got. He told his famous story of hearing his Trinity professor Dr. B give a vision for an Acts 2 church that forever changed his life. He told the story of the early Willow days, where the core volunteers sold tomatoes door to door to fund the operations and expansion of the church. He told current stories of the way that he perceived Willow functioning as an Acts 2, Biblically based community. He added to that line throughout the conference. He talked about the important role of education, and yet emphasized that there was a difference between education and hope. He talked about the role that government, business, and nonprofits could play in society, but emphasized that they were not the institutions that were ultimately tasked with bringing hope to people. Only the local church – the extension of Jesus Christ himself – could truly bring hope to people. That was what he believed to his core, and that was his vision and dream for Willow Creek and every other church. But as I sat there at my desk, I felt compelled to consider the alternative. 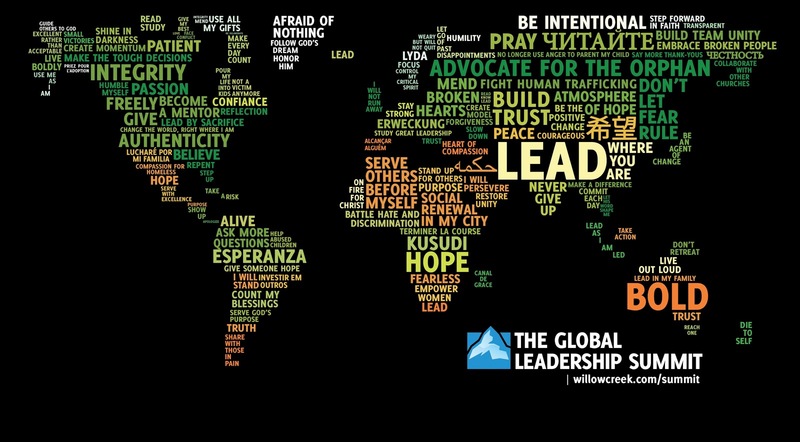 If the local church wasn’t the hope of the world, what was? I couldn’t think of a good answer. This was a spiritually rich era for me, and that moment at my desk turned into another powerful encounter with God. I felt my cynicism, skepticism, and even fear about church begin to melt away. I felt an ability to forgive the people who had harmed the name of Jesus through poor representations in the church. And I began to be filled with a new sense of optimism and intrigue about what could happen through a church when a church worked right. Maybe Hybels was right. Maybe the local church just could be the hope of the world. Dude, I’m right there with you.